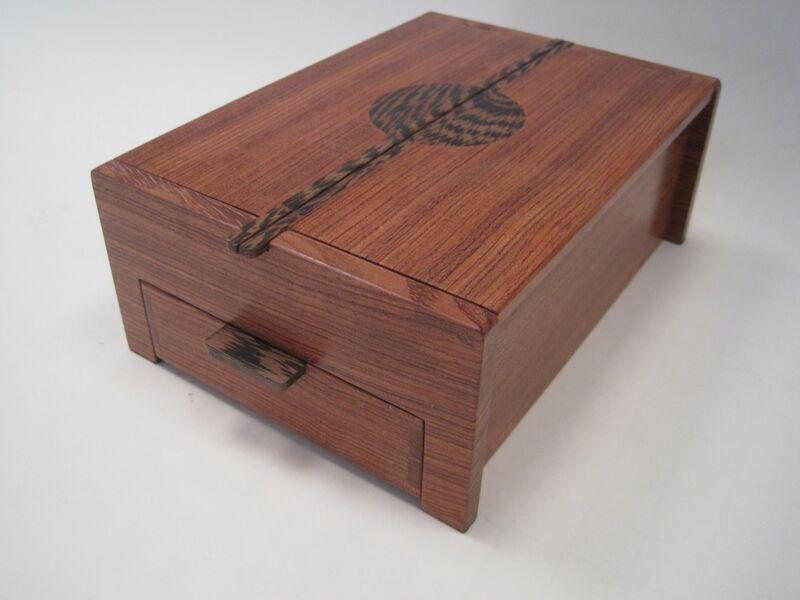 This beautiful Bridge box is made from Bubinga with Wenge decoration or a lighter coloured box made from Ripple Maple with Wenge decoration. 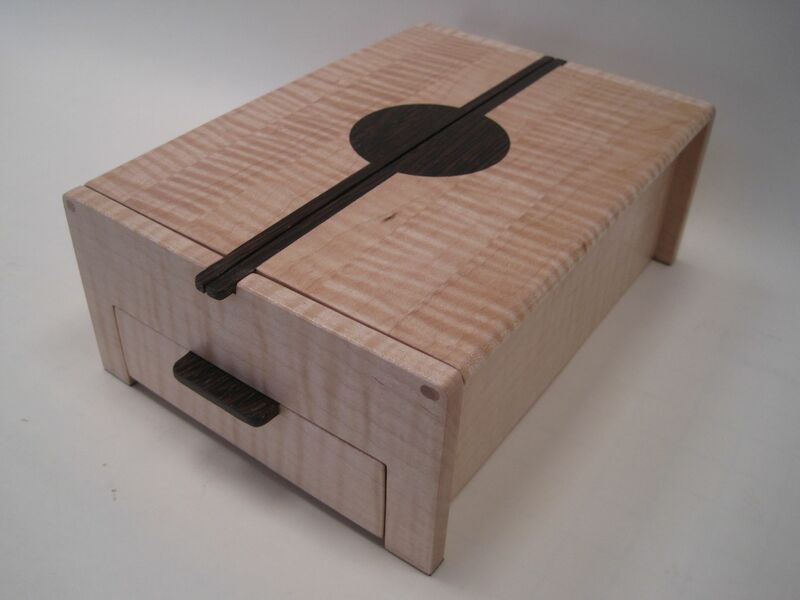 The box can also be made to order in other woods. 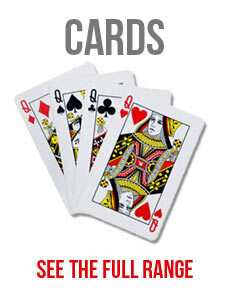 Call us to discuss. 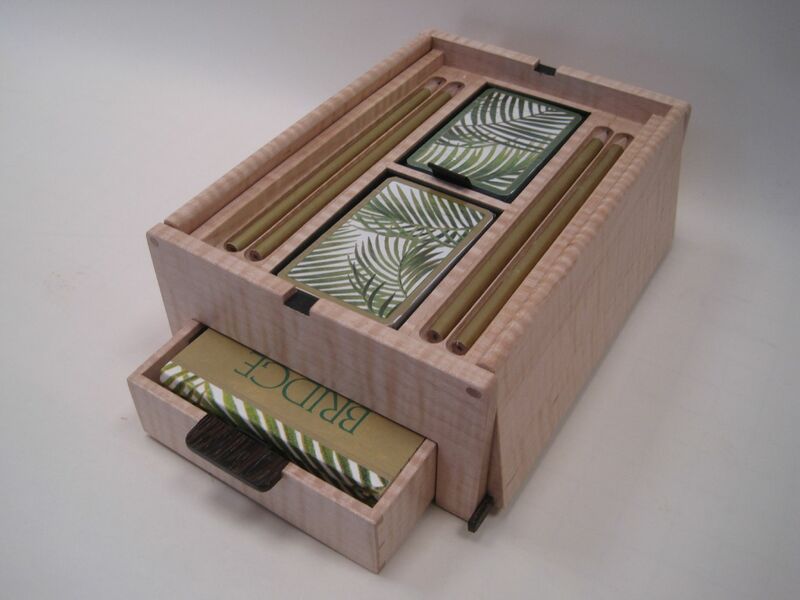 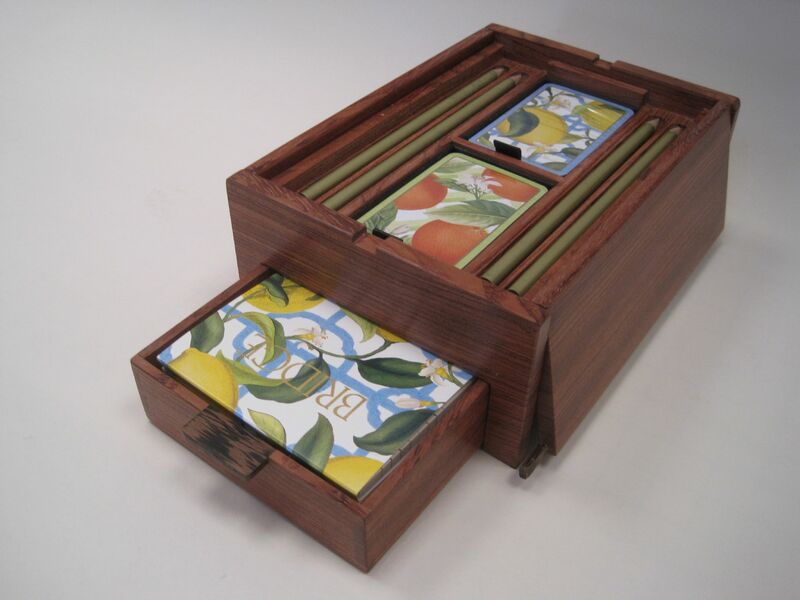 The box includes the Caspari Bridge set of your choice and makes a wonderful very special present.